This iPhone XR Snap Case makes it easy to slide your phone into a pocket or clutch. Its slim form factor and lightweight design give it a modern look. Customize one now to give your Apple phone an upgraded look! 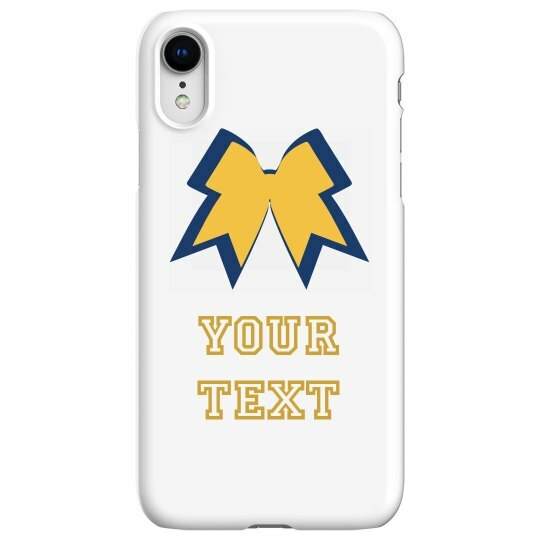 Get ready for cheer season by personalizing a trendy phone case that shows your team spirit. Add your own text's in a vibrant, sporty font that matches your team or school's colors!